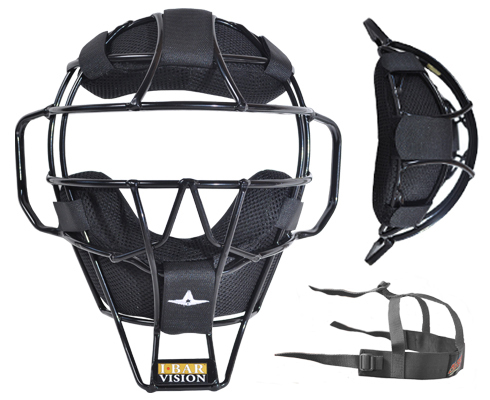 The FM2000 is a facemask specifically designed with umpires in mind. To increase the protection, comfort, and fit, the top bar of the cage has is curved to allow more padding to come into contact with an umpire's forehead. This design also makes it impossible for the top part of the cage to come into contact with the umpire durring ball impacts. Mask comes with LUC style padding which is lightweight, moisture wicking, and machine washable. This is a single bar facemask designed and tested to be just as strong as our FM25 Cage.